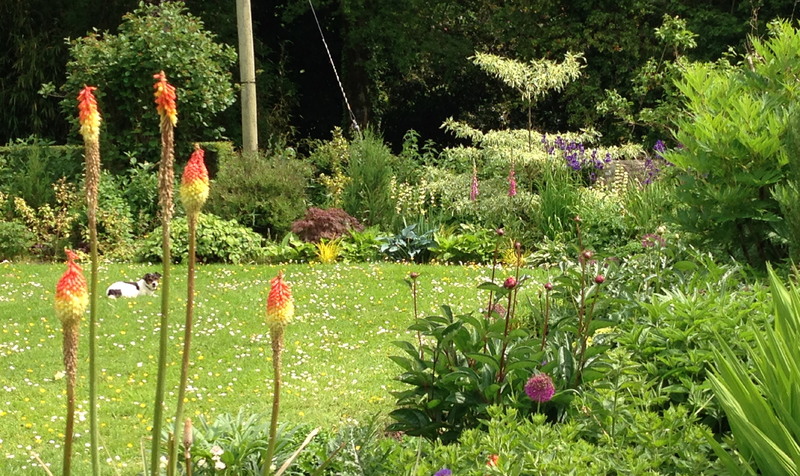 Just to prove I’m not always about gravel and spiky plants, here are some mixed borders I’ve been working on in Lyme Regis and Farway, looking lovely in the sunshine. 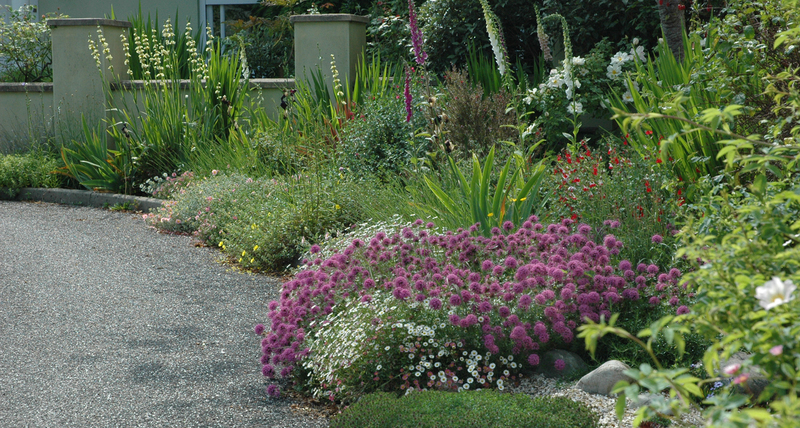 It can be tricky getting the right balance of successional planting – making sure there is something blooming from Spring through to Autumn. Sometimes it can take two or three years to get it right. Or in the case of one of my favourite gardens, just long enough to make it perfect in the year the property goes on the market! 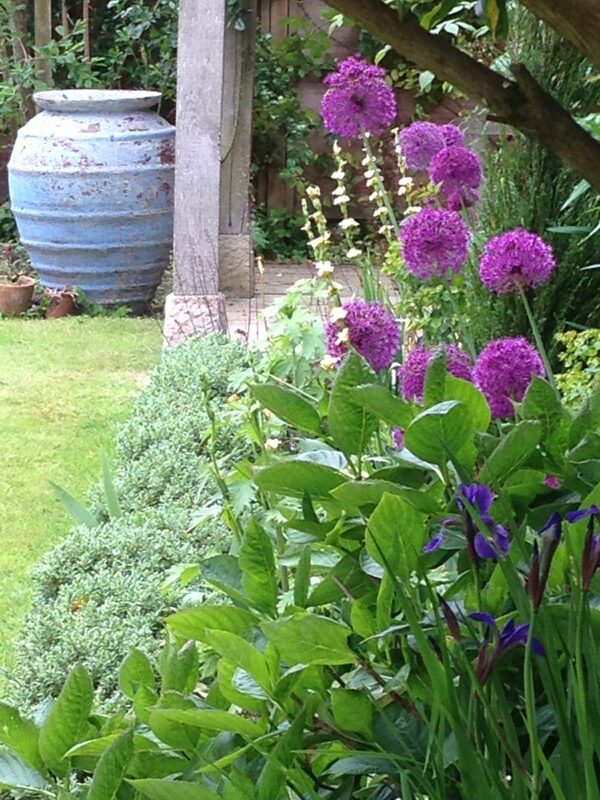 My lovely client Mary’s garden (definitely not contrary, but how her garden does grow) A hot dry and small space absolutely packed full of drought tolerant plants. At least I don’t have to water this one…..
You are the border Queen ! Different to the border patrols I am used to but absolutely beautiful. Previous Here’s one I did earlier….